The diary is the place where to record your most intimate thoughts and experiences. Each daily entry will be saved individually, keeping it forever and in total privacy, fending off any attempt of intrusion by non authorized eyes. 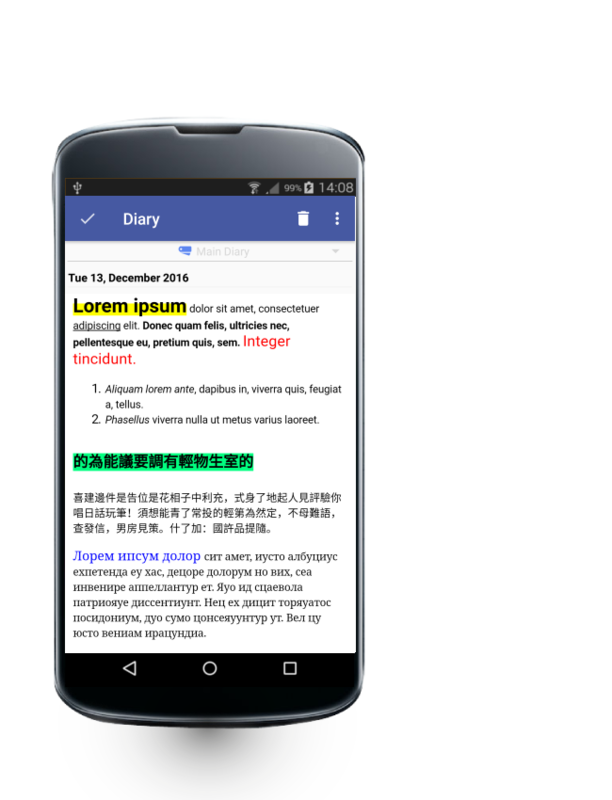 The diary app accepts text, formatted or not. 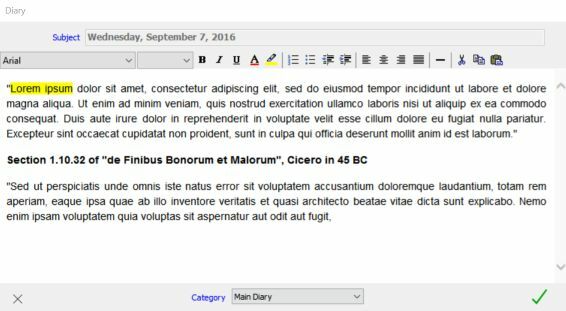 Html documents can be copied from e.g. 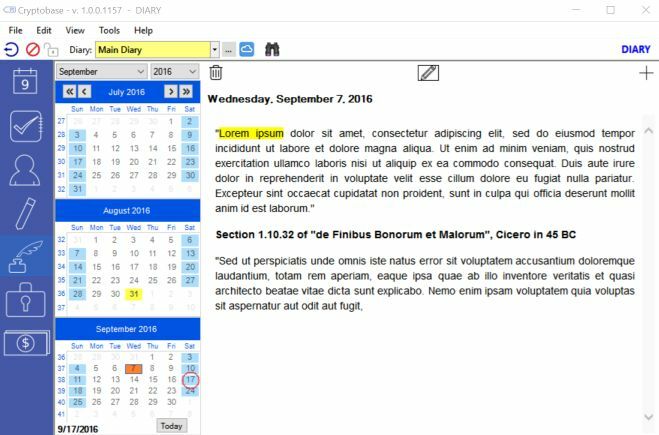 a web page or a word processor document and pasted into the Diary. In the present version, images are not saved directly, but only as URI-links to external image files. Every entry for a day is encrypted with a random keyword before being saved. Different entries are stored with different keywords. This makes it practically impossible for intruders to access your data. 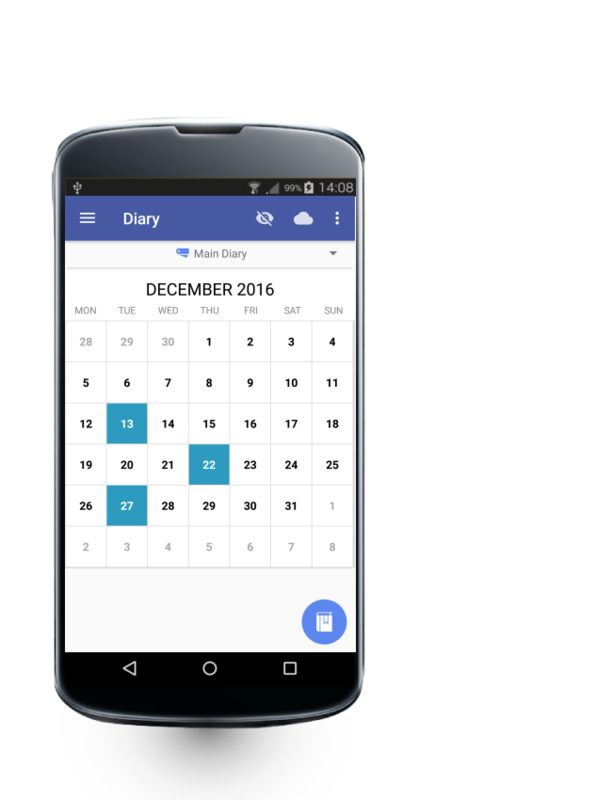 In addition, all diary entries are considered "private" and the whole Diary will disappear from the screen at the hit of a button (or automatically if the app has not been in use for a couple of minutes). To show the Diary again you are required to enter the PIN or (after entering a wrong PIN once) the main password. You can create any number of diaries in addition to the default "Main Diary".